Here is a selection of some of my published work. Montreal. The Irish Times is an Irish broadsheet with a daily readership of 388,000. See the right side of the page for my article. 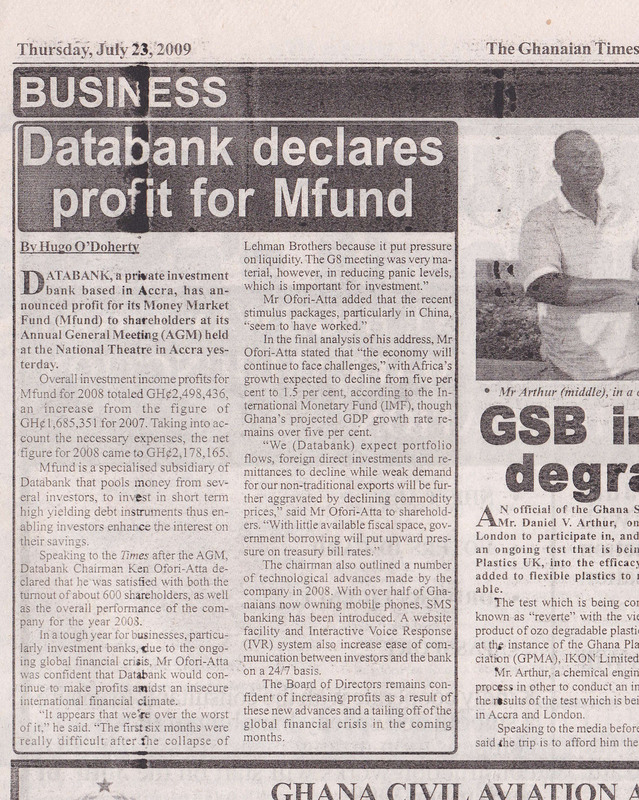 A news report from the AGM of a private investment bank based in Accra, Ghana. 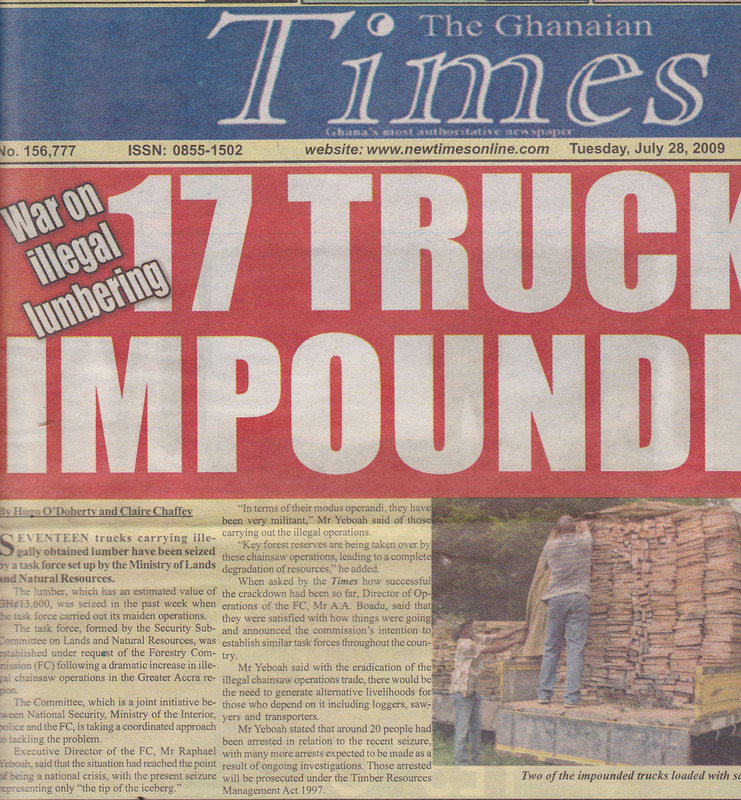 Something on government export strategy in Ghana, July 2009. 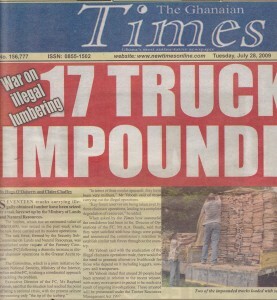 On illegal lumbering in Ghana, July 2009. French Living Magazine is an Australia-based magazine focused on all things French. They wanted an article on Montreal and I was glad to help out. I interviewed a couple from Perth living in Montreal and you can read it here. Moving2Canada is an online resource for jobseekers migrating from all over the world to Canada. Before I became editor of the site, I wrote and formatted the Montreal section. Here are some additional blogs I wrote for Moving2Canada. I had the pleasure of writing the programme notes for two Celtic Thunder tours – ‘Voyage’ (2012) and ‘Mythology’ (2013). My brief was very broad, no more specific than asking me to incorporate those two words and concepts in the pieces. This gave me a chance to bring in subjects from the classical world and philosophy. Click here to read the first Voyage article, and here for the second one. This link will take you to the first Mythology article, and this link to the second. RealCity is an online magazine that focuses on the realities of life in modern cities. I wrote this personal article for the magazine a few weeks after I moved to New York City, and this one about Invisible Children’s “Cover the Night” campaign following their infamous Kony 2012 video of March 2012. News story from November, 2009 about flooding in the Irish midlands. 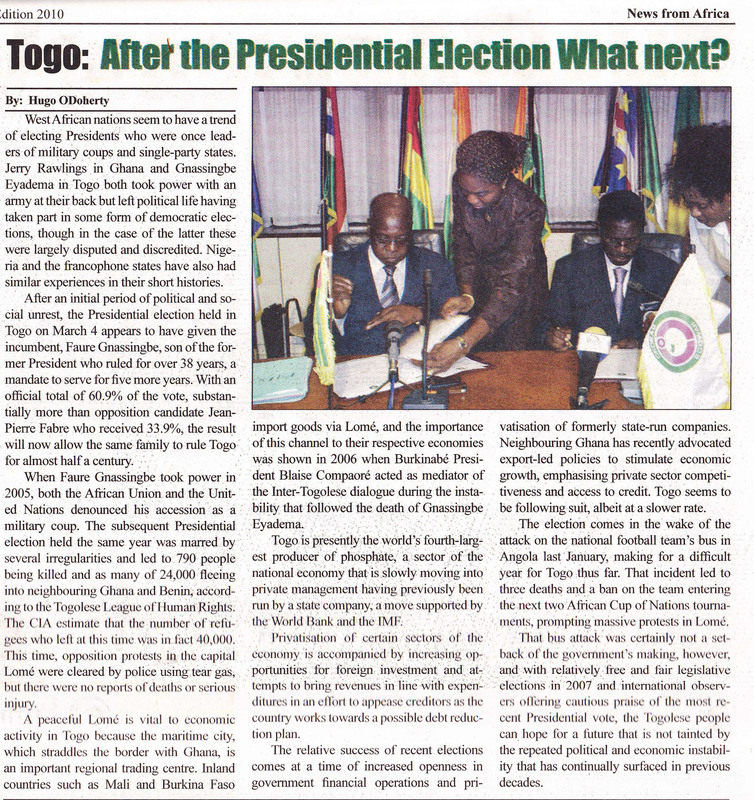 Post-election analysis of the 2010 Togolese elections. I spoke to a few people at Occupy Congress in January 2012. My prediction that Harry Redknapp was destined to become England manager ended up being wrong, but that aside I think I was relatively prescient in this piece on the England national team. American Football might not be about to rival GAA, soccer and rugby for the public’s affection in Ireland, but the annual Shamrock Bowl game brought out the crowds for an afternoon of entertainment and big hits between the Dublin Rebels and University of Limerick Vikings. Click here to read my report for the Dun Laoghaire Gazette. A head-to-head debate with Iona Institute founder, David Quinn, on the subject of gay marriage. Scroll half-way down the page to read my article. 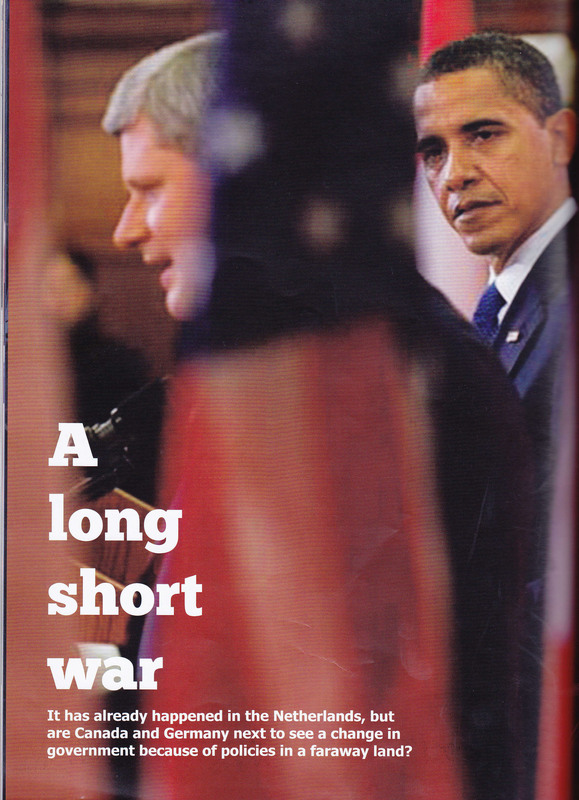 A feature I wrote for SCOPE — the magazine set up by myself and a few other young journalists in Dublin — about Canadian and German involvement in Afghanistan. 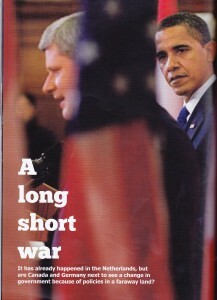 I wrote it during a time when I was becoming fascinated with Canadian politics. Taking football as its lead, this article is more about Basque nationalism than anything to do with sports. I wrote it after going to San Sebastian. An interview with a reformed drug addict who started a sober nightclub in Dublin city. A piece on my experience working for The Ghanaian Times in Accra, Ghana.